Sweet Americana Sweethearts: History of Tennis. 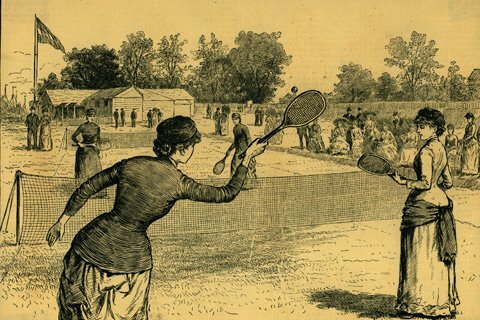 The Racquet version of the game was brought to the Americas by Mary Ewing Outerbridge 1852-1886 –born Pennsylvania. Went on vacation in Bermuda in 1874 saw two Englishmen playing tennis. 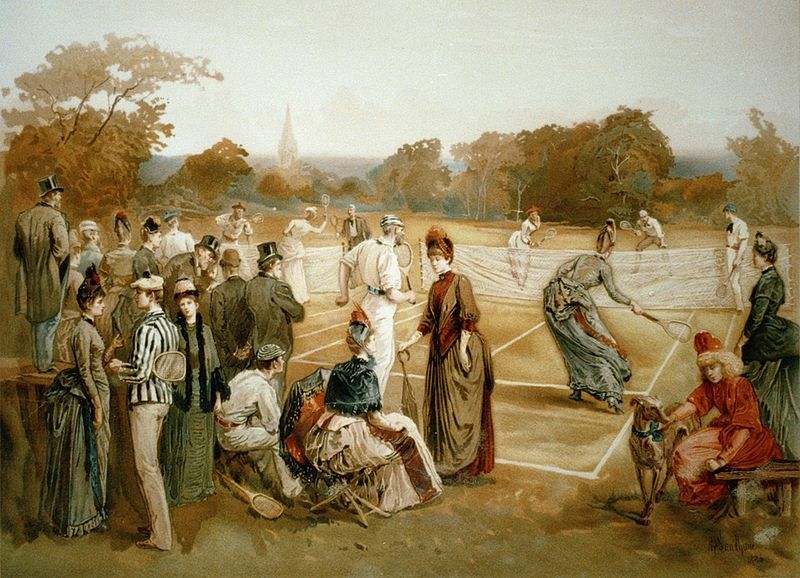 The English had been playing tennis well before 1874. Fascinated with the sport. Mary purchased racquets and balls and brought them home with her to the United States. There has been some debate that Mary Ewing Outerbridge, wasn't the first to bring Tennis to the United States. That she hadn't traveled to Bermuda until 1875. And therefore couldn't have been the one to have introduced the game to America and it was in fact a man named Dr James Dwight. However official document have credited this sport in America to Mary which places her in Bermuda in 1874 and therefore was the originator. Tennis is a sport which was received well by woman in this era and they used it as a pastime and for recreational entertainment. it was a social event enjoyed by men and woman alike and together. 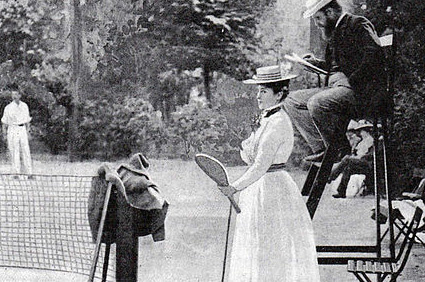 Playing the game as doubles worked well both for same gender and mixed doubles this sport in the 19th century held no gender bias. It is the same today, as a sport tennis is one of the sports which offers equal financial reward to both men and women alike. This is a very short and narrow overview of the complexities of the sport and its transition. However it was an interesting discovery and one I will be diving deeper into. Thanks for reading Sandra E Sinclair.